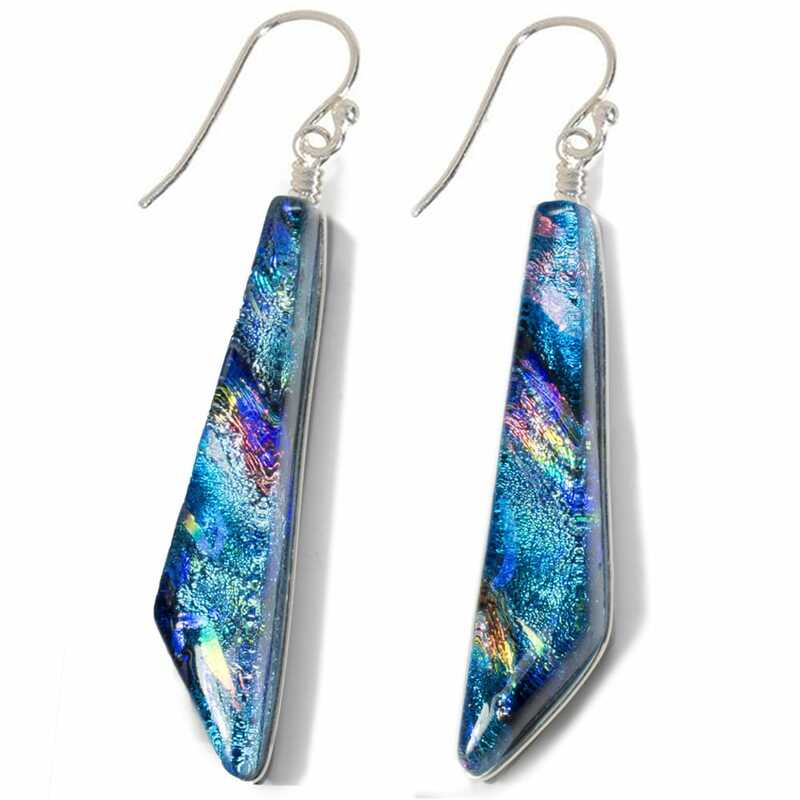 The design and colour make these earrings best sellers! 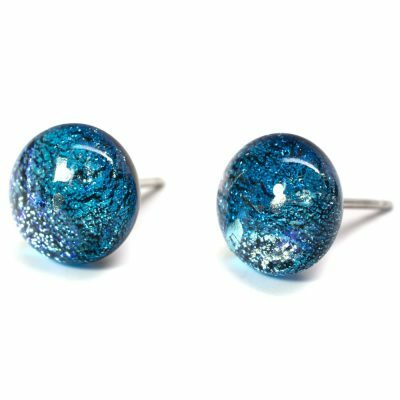 The icy blue dichroic glass beckons you to cooling relief from your nickel allergy symptoms! Approximate length: 44 mm. Colour/design: Comet shaped dichroic glass in blue with hints of pink, yellow, teal, and other rainbow accents. 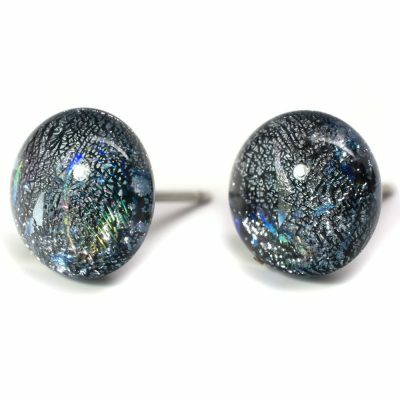 Dichroic Glass: The amazing look of this dichroic glass earring starts in our regional artisans’ studio, as they create the design and unique colour patterns, then apply precise scientific skills to achieve the exact kiln-firing temperatures, duration, and repetition, all of which are crucial to the glass. Dichroic glass is fired several times to achieve the shifts of colour and depth which display in this artistic creation. 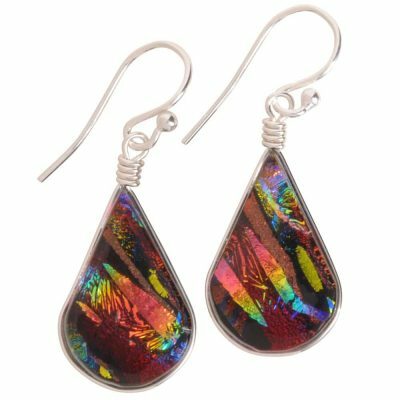 These earrings are US-made from the design, to the firing of the glass, to the assembly of each earring.